In English: They need to save money, so they’re laying off a bunch of people — 11,000, to be exact. 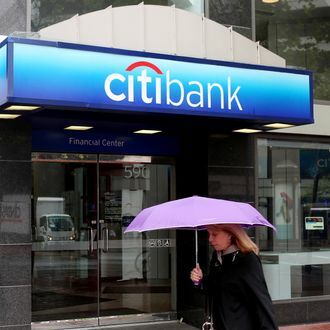 The bank also announced it is taking a $1 billion charge in the fourth quarter that is related to the cuts, which represents nearly 5 percent of its global workforce. Citigroup’s pre-holiday “repositioning” boosted the company’s stock price by 4 percent, because capitalism.